After working as a selector on the Sound of Silence Keystone sound system, and then his own Gathering of Youth system, he began his singing career as part of The African Brothers in 1969, along with Tony Tuff and Derrick Howard. The group released several singles in the first half of the 1970s on labels such as Micron and their own Ital label, and were an early example of the Rastafari movement’s influence on the Jamaican music scene, taking a clear lead from The Abyssinians. After recording “Mysterious Nature” for producer Rupie Edwards, the group recorded 1974’s “No Cup No Broke” for Studio One, breaking up shortly after. Minott then teamed up with the producer Clement “Coxsone” Dodd, as studio apprentice at Dodd’s Studio One, working as a singer, guitarist and percussionist, and soon began recording his own singles. Minott developed a talent for writing new songs to fit over existing rhythms (which at the time was common when singers performed live, but rare in the studio), often proving more popular than the original songs, pioneering an approach that would be central to the emerging dancehall style. After a number of moderately successful hits for Studio One, such as “Vanity”, “Hang On Natty”, “Mr. DC”, and “Jah Jah Children”, Sugar Minott’s debut LP Live Loving made his name and increased his popularity, and is regarded as pioneering the dancehall style that would dominate the early 1980s. It was followed in 1979 with a second album, Showcase, which included his singles that had been omitted from the first album. 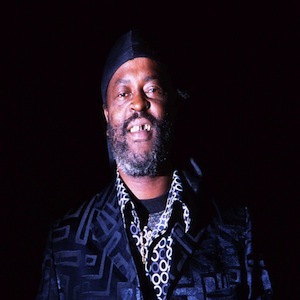 Sugar Minott released an album of recordings from Channel One Studios, With Lots Of Extra in 1983, collecting several hits from his time working with Winston Holness. While Minott was in England he discovered the group Musical Youth and released a number of successful Lovers Rock singles. Returning to Jamaica, his Youth Promotion sound system performed regularly in Kingston’s Maxfield Park, featuring Jah Stitch and newcomers who had been nurtured by his organization such as Ranking Joe, Captain Sinbad, and Ranking Dread. His Black Roots label featured his productions of these artists plus others such as Barry Brown, Tenor Saw, Little John, Tony Tuff, Barrington Levy, Horace Andy, and one of his discoveries from England, Trevor Hartley. Minott also produced early works by Nitty Gritty, Junior Reid, Yami Bolo, Colourman, Daddy Freddy and Garnett Silk, who recorded his first song for Minott. Throughout the 1980s the hits kept coming. Able to encompass different styles from rough roots to sweet lovers, through to classic dancehall, he was an artist of some influence. In that period he was working for all the top producers in Jamaica including, Mikey Dread, George Phang, Sly & Robbie, Philip “Fatis” Burrell, Channel One, Prince Jammy, and Donovan Germain, as well as recording for United States-based Lloyd “Bullwackie” Barnes (the Wicked A Go feel It album from 1984). His biggest hits included “Herbman Hustling”, “No Vacancy”, “Jamming In The Street”, “Rub A Dub Sound”, “Buy Off The Bar”, “Rydim”, and “Devil’s Pickney”. Sugar Minott continued to record on his Black Roots label, Youth Promotion Label and for Major and Independent labels. His albums receive increasingly exciting reviews. He released over 60 albums and hundreds of singles. Minott’s desire for independence led him to leave Studio One in 1978 and form his own Black Roots Records label and Youth Promotion organization, the latter with the aim of helping young singers from the same ghetto background as himself. Minott also ran the Youthman Promotion sound-system, giving young performers their first public exposure. Youthman Promotion has new selectors working alongside the veterans of Major Stitch, Ragga Steve and Drifter, Daddy Ants, Mr Shorty and Jimmy Knuckles. The selectors most recently added to the sound are DiGeneral Starry B in 2007, alongside Poochiny and Jr War, who were added in 2012. Ragga Steve has taken full control of the sound with Earl Minott in the UK. Minott died on 10 July 2010 at the University Hospital of the West Indies in St. Andrew Parish, Jamaica, after being admitted earlier that day. The cause of death remains undisclosed. He had been affected by a heart condition since early 2009, and cancelled several performances in May 2010 due to chest pains.